“We have sent a message to our Iranian friends that as long as they are sticking to the agreement the Europeans will…fulfill their commitment. 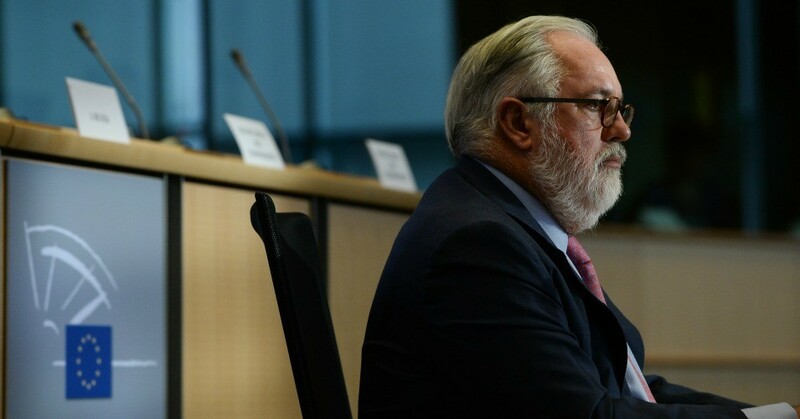 And they said the same thing on the other side,” Miguel Arias Canete, the EU’s top energy official, told reporters in Tehran. Trump announced on May 8 that the U.S. would reimpose sanctions that had been lifted under the agreement reached in 2015 by the Obama administration, in exchange for Iran’s curbing of its nuclear program. The president breached the agreement despite multiple reports from international investigators since the deal was reached that Iran was fully complying with the agreement, officially known as the Joint Comprehensive Plan of Action (JCPOA). The EU will aim to continue trade with Iran, Arias told reporters. The EU’s announcement came a day after the European Commission declared it would introduce a law to ban companies on the continent from complying with Trump’s sanctions—further isolating the Trump administration in its stance against Iran. Should the EU’s attempts to salvage the deal with Iran fall through in the wake of Trump’s decision, said Iranian nuclear chief Ali Akbar Salehi, the country could resume their enrichment of 20 percent uranium. The JCPOA successfully kept Iran’s supply of low enriched uranium at about one percent of its level before the deal was reached.